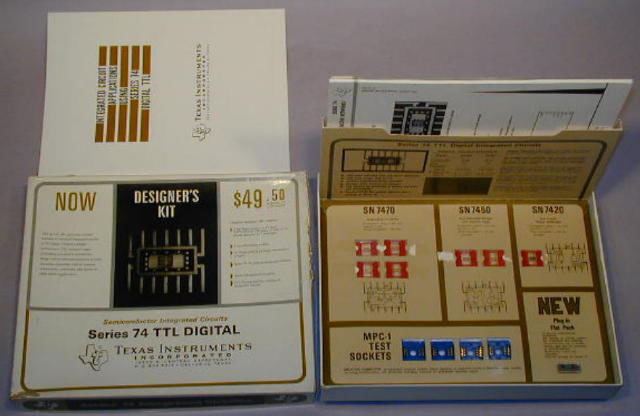 In the mid 1960's, the Semiconductor Group sold these kits for equipment design engineers to use in becoming familiar with IC applications. Series 54/74 circuitry is transistor logic. It was introduced by TI in October of 1964 in the metal flat package and in the third quarter of 1966 in the plastic dual-in-line package. 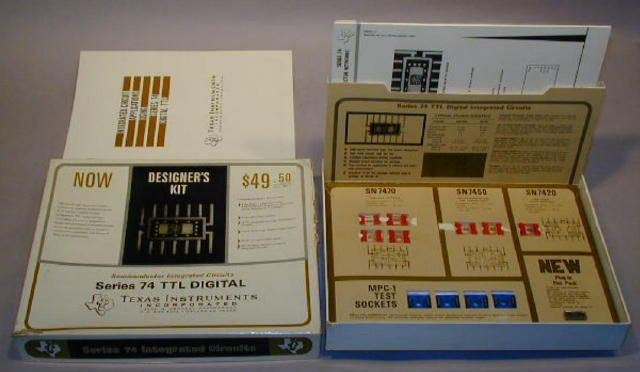 This series rapidly became the industry standard for digital applications and was copied by other semiconductor manufacturers. This kit was made up in mid 1966. Related material in collection: G00293.